COACH are pleased to announce that they today received confirmation that a grant application from DM Thomas Foundation for Young People had been successful. 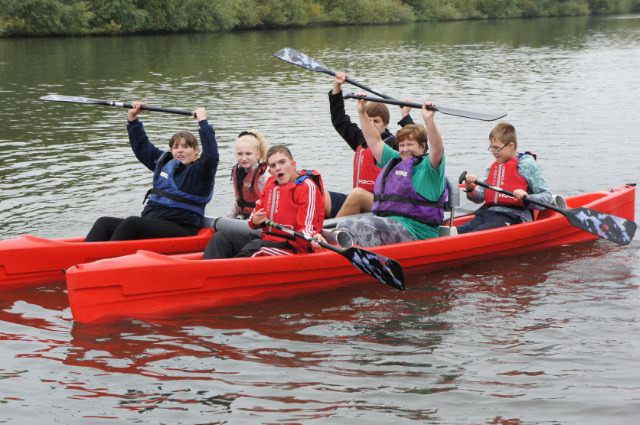 The Grant for £9,660 will be used to purchase disability canoe equipment. It will fund 2 stable katakanus and some single sit on top kayaks. The katakanu picture is a double canoe that can seat 6 people. It is very stable and is also suitable for beginners. The sit on top kayaks are safe as they allow the paddler to fall in without fear and allow them to get back on easily.